What an excellent tail. This is a wonderful portrait. Shannon, the cat paintings rock. 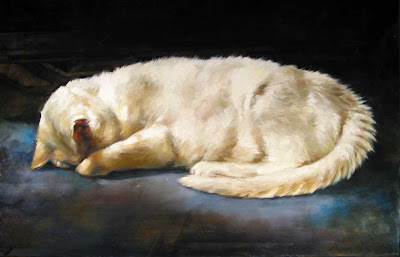 The lighting is perfect - I so love this cat painting. I love it because I love the animal and know his little ways, but I'm happy to know others can love it too. I hope to be launching a redesigned website and adding more entries to my blog this fall.